President Trump and First Lady Melania are bringing back the nativity scene that was banned by Barack & Michelle. It will be presented front & center in the White House. Absolutely, stunning, beautiful and majestic! Merry Christmas everyone! We all knew that this Christmas would be spectacular this year! A huge thank you to President Trump and Melania for bringing back class and dignity to our White House. We couldn’t be prouder! President Donald Trump and First Lady Melania Trump are bringing Christ back to Christmas. Melania released video of the beautiful White House decorations. And this year a Nativity scene was included. 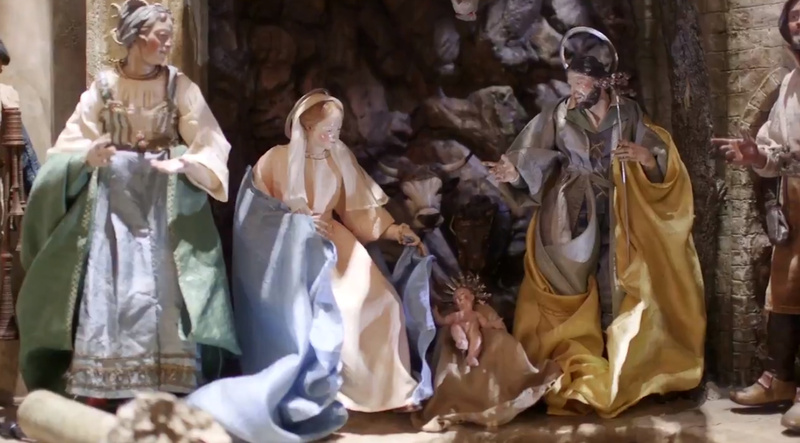 The video includes footage of the White House Nativity scene. And it looks like Melania left the Mao balls off the tree this year too! The Obama White House was hostile to Christians and rumored to have excluded the Nativity Scene in their White House. In 2016 the Obamas included a Nativity scene.